Valeo Innovation Challenge is compliting the second round. Valeo’s experts named the 20 shortlisted teams that represent 13 countries around the world: Australia, Belgium, Brazil, Canada, China, Egypt, France, Germany, India, Mexico, Poland, the United States and Spain. Valeo’s experts reviewed a large number of unique, innovative and high quality project submissions. These technical solutions are illustrative of each country’s specific societal concerns. For example, the Indian engineering students are taking up the issue of road safety, while the emphasis for the Mexican contingent seems to be individual safety and security. The European students, like their North American peers, are more concerned about reducing CO2 emissions and creating a smart, connected and autonomous vehicle. Across the board, they are working to make the car of 2030 a cleaner, safer and more enjoyable ride. 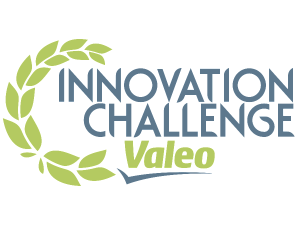 The choosen teams of Valeo Innovation Challenge now have until August 29, 2014 to develop a working prototype of their project using €5,000 in funding appropriated to each of them by Valeo. Six finalists will then be selected to present their project to the jury at the 2014 Paris Motor Show in October 2014. Comprised of Valeo experts and outside partners, the jury will be chaired by Valeo CEO Jacques Aschenbroich. The winning team will take home a €100,000 prize and the second and third-place teams will each receive €10,000. Launched by Valeo in September 2013, the Valeo Innovation Challenge is a global contest open to engineering students around the world, invited to play an active role in automotive innovation by designing the product or system that will create smarter, more intuitive cars by 2030. 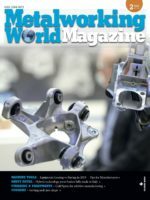 Nearly 1,000 teams from 55 countries signed up for a chance to propose and develop daring solutions that will revolutionize the car of the future. How can I participate from Tunisia ?